21 July 2015, at 6:00a.m. Flock comfort and caregiver convenience help make backyard coops successful, according to these tips on how to construct your coop from the Purina Animal Nutrition Centre. Think of the centrepiece of your backyard. Chances are you thought of your coop. As the cornerstone of any flock enthusiast’s project, there are fewer pieces more important in flock raising than the backyard coop. When designing a home for your birds, consider key points in construction, including: space, sanitation and protection. Plenty of space: Space for birds is a key consideration for promoting peace. Covered room to roam: Each of the coops has a covered outdoor run for the birds to enjoy fresh air. Feeders and waterers are placed in the covered runs so the coops stay dry and clean. “This large, covered area is important for several reasons,” Mr Ballam said. “One: it provides shelter from weather and direct sunlight. Easy access: Build coops so you can easily access the inside of the coop and the birds. “On our coops, the doors of each of the coops are tall enough so a person can easily stand inside the coop,” Mr Ballam said. Each coop also has nest boxes for the hens inside the coop. Outdoor access to the nest boxes allows the team to collect eggs without entering the coops. Predator-proof: The coops at the Purina Animal Nutrition Centre are predator-proofed with screens on the doors, windows and runs. 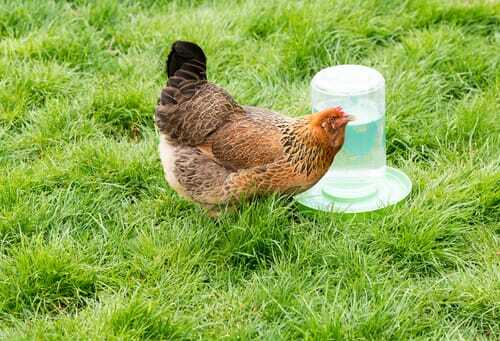 Galvanised welded wire, instead of chicken wire, is also used as chicken wire can stretch and allow predators access to the run. “We buried galvanised welded wire six inches underground (parallel to the walls of the coop and run) and then bent the wire 90 degrees out from the coop (parallel to the ground, 6 inches) to prevent burrowing predators from accessing the coop and run,” Mr Ballam said. Good ventilation: Fresh air is essential during all seasons. The coops at the Purina Animal Nutrition Center have windows on all 4 sides and ventilation holes on top to allow fresh air to enter and stale air to exit. Electrical outlets: As days get shorter, hens need additional light to continue laying eggs. To provide 17 hours of light per day, consider adding electrical outlets to the coop. Continuous access to clean water and fresh feed: Fresh, complete feed and clean water are essentials in maintaining a happy, healthy flock. Designate areas for feeders and waterers and determine a place for feed storage. If you live in a cold climate, water heaters may be needed to prevent water from freezing. 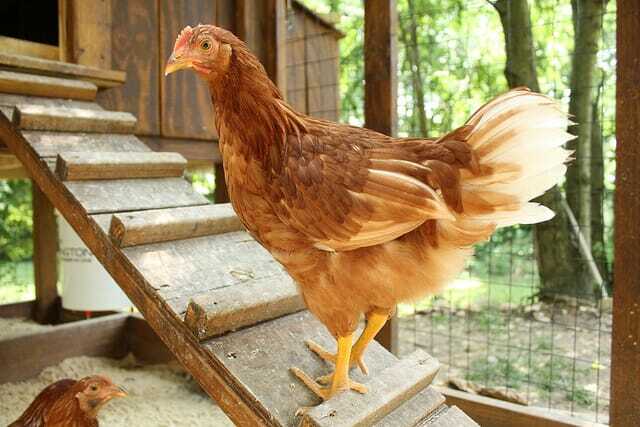 “Once the coop is designed and constructed, add hens to their new home and monitor the transition,” Mr Ballam said. 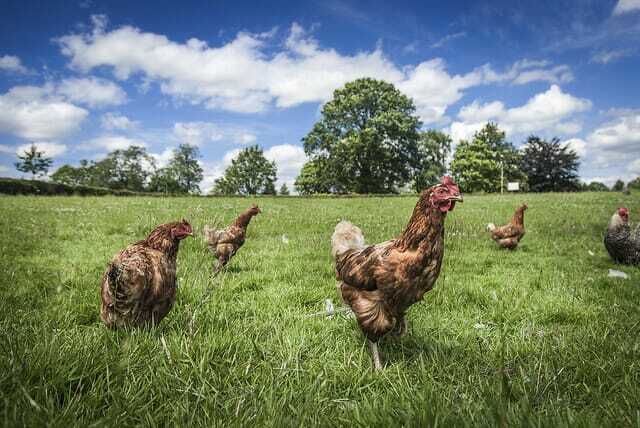 Find out more useful information about rearing chickens in our Knowledge Centre here.